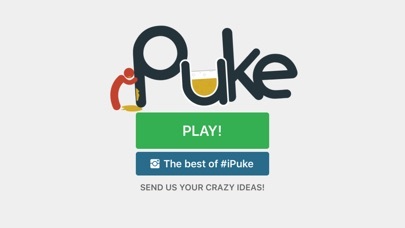 Ladies and gentlemen... iPuke is the best drinking game you'll play EVER! After years of hard work, hundreds of hangovers and insane nights, we finally crafted the best game concept on the planet! 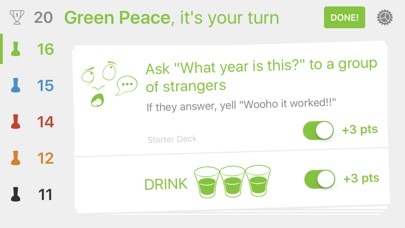 If an epic night is what you want, then all you'll need is to get the gang together, open this app and lose your sense of self respect. How does it work? 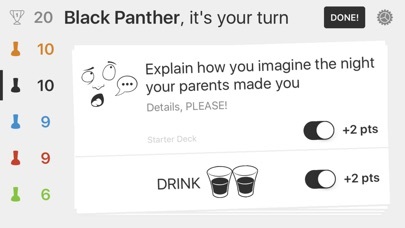 On every turn you'll draw a card with 2 options: a crazy dare and an amount of shots to drink. You must complete at least one to proceed, and they're both worth some points. The first brave player to reach the points goal wins the game! 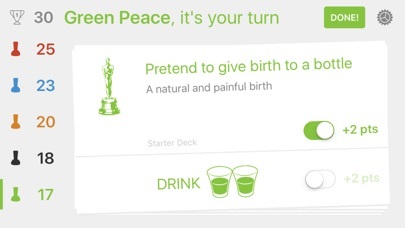 There are over 260 cards available, so you'll never get bored! Are you ready? The app doesn't start anymore on my iPod. What are you guys even working on? This game hella funny! Def a great way to get drunk! 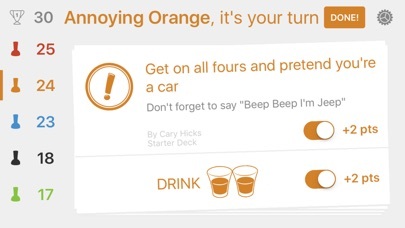 Amazing drinking game totally recommend to play it's better with a lot of people.